As a native of Los Angeles, California, Courtney is proud to serve the community in which she was raised. Courtney resides in Manhattan Beach, California with her husband, toddler son and devoted dog. After attending Marlborough High School, and graduating from UCLA’s Honors Program with a degree in Economics and English Literature, Courtney received her J.D. from Southwestern Law School. During law school, Courtney worked for the ACLU of Southern California on federal cases involving wrongful deportation, mental health and prison reform, and she clerked in the Office of the Los Angeles County Public Defender. Courtney also served as a judicial extern to the Honorable Terry Hatter, Jr., U.S. District Court for the Central District of California, and clerked for civil rights firm Hadsell, Stormer, Keeny, Richardson and Renick. After graduation from law school, Courtney litigated for nearly ten years before starting her own practice offering representation to individuals who have experienced unlawful employment practices and representing estate planning clients. 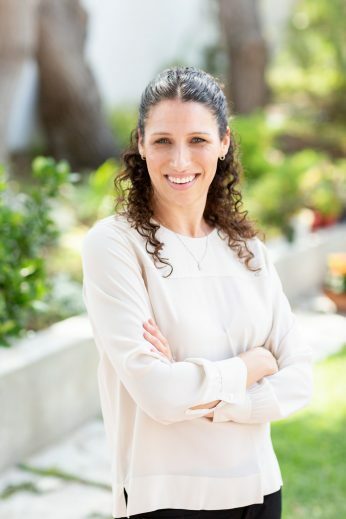 Courtney has been quoted in Forbes and Variety, and from 2014-2018, she was recognized as one of the top Women Attorneys by Los Angeles Magazine and named to the Southern California Rising Star list, an honor received by no more than 2.5 percent of lawyers in California. Courtney is committed to working with her clients in a compassionate, strategic and meticulous manner. Learn more about her philosophy here.